Basketweave is such a simple and fun way to expand your knitting skills from garter and stockinette! If you can knit and purl, you can make this beautiful stitch pattern. 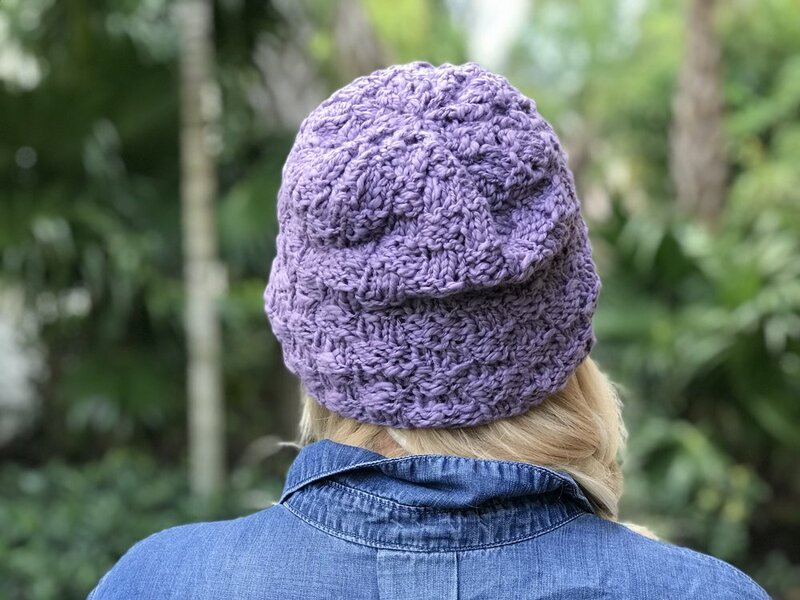 Follow along and learn how to turn this beautiful stitch pattern into a simple hat in rows or rounds - or make them both ways! Each pattern is written step by step below, and watch the video tutorial for even more support! NOTE: 16" circular knitting needles work best for knitting the hat in the round. For knitting the hat in rows, you can use any size circulars or straight knitting needles. Rows 9 - 40: Rep rows 1 - 8 four more times. Cut yarn leaving 18" long tail. Thread tail onto yarn needle and slide all 10 sts off knitting needle and through yarn needle. Cinch closed. Secure with a knot. Sew side edges of hat together. Weave in loose ends. Round 1: Place marker, join in round being careful to not twist stitches. *k3, p3. Rep from * around. Rounds 6 - 8: rep round 5. Rounds 9 - 40: Rep rounds 1 - 8 four more times.